Eating healthy doesn’t mean you have to sacrifice on taste. 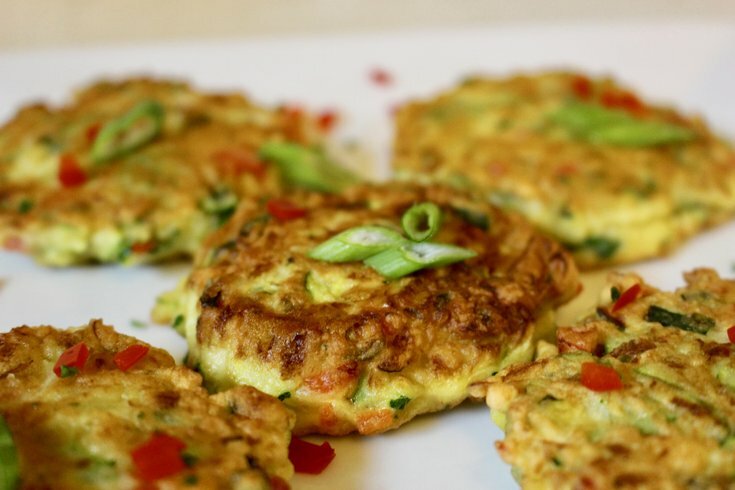 This low-fat Zucchini Fritters recipe from Independence LIVE’s Healthy Cooking Class makes for the perfect appetizer and takes less than 20 minutes to make. Place grated zucchini in a colander over the sink. Add salt and gently toss to combine, let sit for 10 minutes. Using a clean dish towel or cheese cloth, drain zucchini completely. In a large bowl, combine zucchini, flour, Parmesan, garlic and egg. Heat olive oil in a large skillet over medium high heat. Scoop tablespoons of batter for each fritter, flattening with a spatula. Cook until the underside is nicely golden brown, about 2 minutes. Flip and cook on the other side, about 1-2 minutes.